A group of 60 to 80 young instrumentalists will have a chance to hone their skills this summer in a setting that is part urban, part sylvan, and very orchestral. The two-week institute will be held at the Mann Center from July 15 to 26, the same time the Philadelphia Orchestra is in residence for concerts at the Fairmount Park amphitheater. It’s a day program with no overnight housing. Students will work in sectional and full-orchestra rehearsals and receive coaching from Philadelphia Orchestra members and School District of Philadelphia teachers. 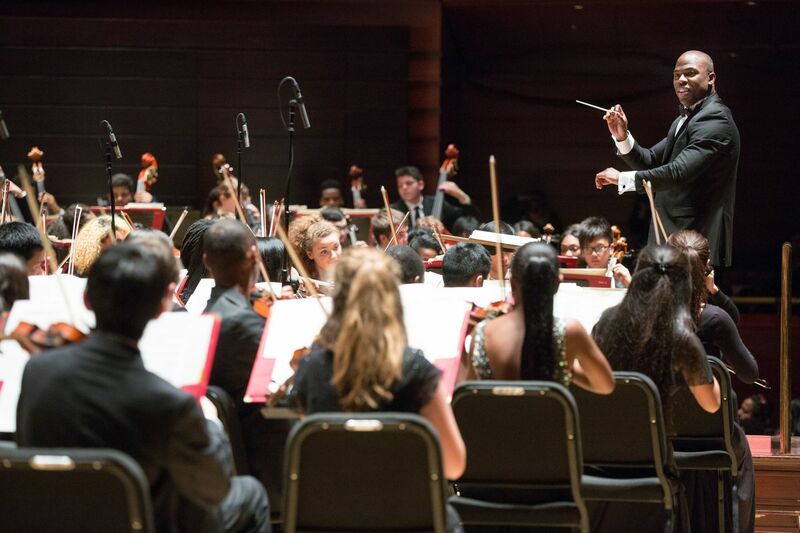 Attendance at the All City Orchestra Summer Academy at the Mann is free, and any district rising eighth to 12th grader can apply. Applications are being accepted now through April 1. Summer programs and camps like ones at North Carolina’s Brevard Music Center and Michigan’s Interlochen Center for the Arts are popular destinations for serious music students. An intensive few weeks without the demands of regular schoolwork often brings music students accelerated progress. But those who are able to attend such camps represent “a very select number of kids,” says Naomi Gonzalez, the Mann’s director of education and community engagement operations. “What happens to everyone else? What happens if you are not high-income is that the students just stay home." Among the goals, says Gonzalez, is to help students improve sight-reading skills and prepare orchestral music at a faster rate, and to work on musicality and producing a more mature sound. “The point is to grow musically,” she says. This year, the academy aims to bring five or six dozen students to the Mann campus for two weeks. Next summer and beyond, the project’s partners — the Mann, the orchestra, the school district, and the music nonprofit Project 440 — hope to expand both the number of weeks and number of students. “We want to make sure that whatever we do, we are building with an eye to the future. We don’t want to do a couple of years and disappear,” said Michael Albaugh, the Philadelphia Orchestra’s director of collaborative learning. There is a talent-spotting aspect to casting the net across the entire school district, says Joseph Conyers, the Philadelphia Orchestra acting associate principal double bassist, All City Orchestra director, and executive director of Project 440. “This is a great way to identify talent in Philadelphia that can be nurtured and put on the right path,” he said. The academy, though, will reach beyond students who plan to become professional musicians. The intent is to also involve students who will someday become audience members and donors, or who are simply looking for a creative outlet. Applications are available through Nathan Wesner at the School District of Philadelphia, nawesner@philasd.org, 215-400-5426; or Naomi Gonzalez at the Mann Center, ngonzalez@manncenter.org, 215-546-7900, Ext. 109. Information: manncenter.org. There is no audition. Acceptance is on a first-come, first-served basis, based on instrumentation needs for each section.